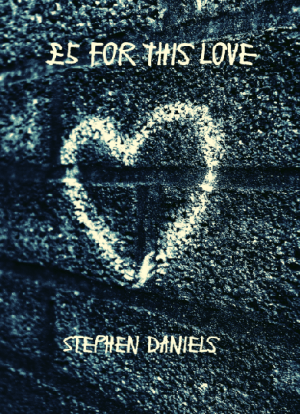 Really pleased to be mentioning Stephen Daniels’ new pamphlet on The Poetry Shed. It is from the fabulous V. Press and is causing a bit of a stir – fabulous endorsements and there’s a review from Ben Banyard here. V. Press is a small independent press set up in 2013 and publishes poetry and flash fiction. Some of their other poets include Carrie Etter, Gram Joel Davies, Sarah James and Jacqui Rowe. They have a submissions reading window which you can check out here. Anyway, back to Tell Mistakes I love them – I have included the poem, You lay on the floor, waiting for me, below and have previously published two others, one which I particularly love called, One hand on the steering wheel, which is also in this pamphlet.